There are loads of good things to say about Verace wood-fired and gas-fired pizza ovens by Valoriani. They are technologically advanced, have a unique patented recycling heat system (RHS) that provides uniformity of heat throughout the oven, are energy efficient, generate low emissions and much more. However, the real feather in their cap is that they are recognised and supported by the AVPN. ‘What’s that?’ I hear you cry. Well, it stands for the Associazione Vera Pizza Napoletana, but what that organisation stands for is something that UNESCO has described as “intangible heritage”. That is the heritage of pizza, which is intrinsically linked with the heart and soul of Naples and jealously guarded by Neapolitans. After all, pizza is not Italian, but Neapolitan. This stems from the history of pizza. Naples, given its geographical position has a rich culture, drawn from Greco, Roman, Norman and even Napoleonic history, countless power struggles, centuries of maritime trade and the import of ‘foreign’ food. It is the food part that makes this so interesting when it comes to pizza. Flatbreads arrived in Naples from Arabia, where they were round in shape, simply made with water and flour dough and named ‘pita’. Tomatoes, on the other hand, came to Italy from South America and were actually feared, with ancient Neapolitans at first believing them to be poisonous. However, needs must, and when starving mariners looked for something to eat, they turned to tomatoes and their wives started to use them as toppings on their flatbread. The ‘marinara’ pizza was born out of necessity. Then there’s mozzarella. Italy did not have buffalo, but India did, and enterprising Normans brought buffalo to Italy to carry out construction and farming work. On arrival, they thrived. By the 18th century, ‘pizza’ was eaten widely in Naples, but its attraction had not spread to other parts of Italy. The arrival of Queen Margherita of Savoy in 1889 changed all that, or should we say her demand to ‘eat local’ did. It led to pizzaiolo, Raffaele Esposito cooking a very special pizza for the queen, topped with tomatoes, mozzarella and basil, to replicate the Italian flag. From that moment, her patronage led to the love of pizza spreading across Italy. But the AVPN will only allow ‘Neapolitan pizza’ to be cooked in a certain way and, by that, read highly regulated way. It has what it calls its ‘Decalogue’ – 10 steps that must be followed, to the letter, if you wish to claim that you cook Neapolitan pizza. The rules are so tight that only two UK restaurants are recognised as serving Neapolitan pizza – A Casa Mia in Herne Bay and Cal’s Own, in Newcastle-upon-Tyne. The Decalogue covers absolutely everything and the AVPN only recognises three types of pizza as having the potential to be called ‘Neapolitan’ – the Margherita, Pizza Marinara and the Margherita Extra. The flour has to be ‘OO’, dough must be left to prove for at least 8 hours, the pizza can only be worked by hand, produce should preferably be from Campania, if using buffalo mozzarella, it must be sliced, but if using fior di latte mozzarella (from cows) it must be chopped in strips. Olive oil must be poured in a circular motion; grated cheese must be spread in a circular and uniform manner … and so much more. The tenet of the AVPN has always been that Neapolitan pizza be cooked in a wood-fired pizza oven in which the temperature is around 800 degrees Fahrenheit, allowing the pizza to cook in between 60 and 90 seconds. To maintain this sort of temperature, with a uniformity of heat within the wood oven that prevents the bread bubbling or charring underneath, it is necessary to be cooking pizza in a wood-fired oven that is top drawer, with superb airflow, heat retention and insulation. Enter the ‘Verace’ by Valoriani. Whilst the performance of Valoriani wood-fired ovens is legendary throughout Italy, and gaining the AVPN’s approval for the Verace pizza oven might have been expected, the granting of AVPN approval for a gas-fired pizza oven was not. Given the stringent rules to which the AVPN operates, it is no surprise to learn that it took Valoriani five years of collaboration with the AVPN’s committee and blind-tasters to gain the certification for the gas-fired version of the Verace. Being the first gas oven to ever do this, spoke volumes. In the UK dining-out market, standing out from the crowd is essential, which is why some pizzeria owners train with the AVPN, to learn how to create Neapolitan pizza. However, even then, there are other hoops to jump through, if they want to state that they serve authentic ‘Neapolitan’ pizza. Whilst the claim of serving ‘real’ or ‘true’ Neapolitan pizza might not be possible, restaurant owners who buy commercial wood-fired pizza ovens from Valoriani can create Neapolitan-style pizza, with its trademark 1-2cm high puffed crust, and no more than 4mm-high middle. Restaurant owners with ovens that cannot operate with even temperatures throughout, or which cannot get up to the required temperature and maintain that temperature, are likely to be serving a very poor imitation pizza, at which the AVPN would throw up their arms in horror. 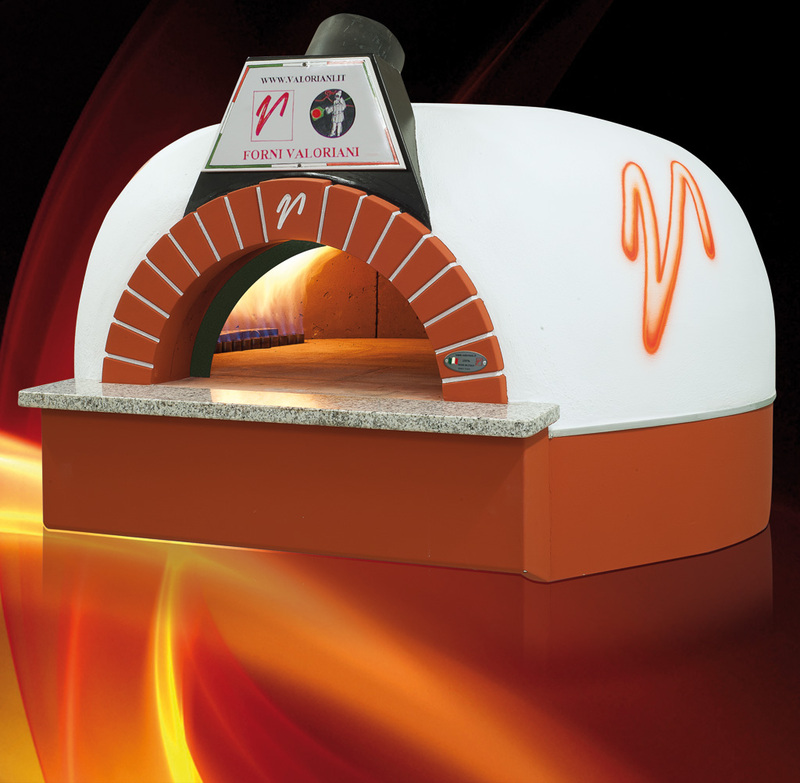 If you wish to serve first-class pizza from a wood-fired oven, or even a gas-fired oven, you need to talk to Valoriani and perceive the difference its pizza ovens bring to the party. Of course, if you are not a restaurant owner, but still love your pizza cooked and served as it should be, a Verace oven can still be your ally, even if it means spending more pounds from your piggy-bank.